“IT’S JUST NOT right, it’s not on” – Ryan Tubridy says the situation of homeless children in Ireland this Christmas is “utterly unacceptable”. The number of homeless people in Ireland continues to rise, according to the government figures. In September, there were 5,250 adult and 3,124 children accessing emergency accommodation meaning that 8,374 people across the country were homeless. Speaking about Ireland’s homeless figures, Tubridy told TheJournal.ie, “Every year I launch St Vincent De Paul’s annual appeal and I’m always wondering, will the country be better to the point that they don’t need me to launch it or I’ll have nothing to say? And just when I thought we had turned the corner as a country and as an economy, what are we doing? We’re letting over 3,000 children sit in a hotel room. “It’s preposterous, it’s utterly unacceptable and as the presenter of the Toy Show, I feel this strange obligation to use my voice to say to those children sitting there on a bed surrounded by clothes and bits of school books and toys and then they have to get up in the morning and pass grown-ups having pints from the night before in the lobby, that’s not on. It’s not acceptable. We know you don’t have a voice but we’re listening and we’re hearing. Whatever class of voice one can have we’ll use it. Earlier this month, TheJournal.ie revealed that mothers are making calls to emergency services from libraries while their children read as they try to secure accommodation. Brian McLoughlin from Inner City Helping Homelessness (ICHH) told this website that he has heard from a librarian who described this situation as something that’s happening more and more. 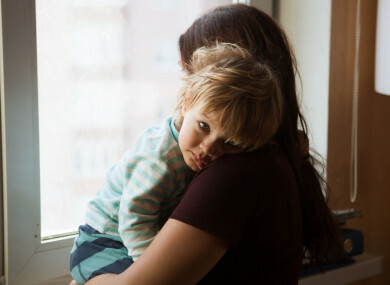 “She said homeless men would often come in during the day to get out of the cold but in the last 18 months, more mothers and children having been coming in. There are two rules in the library, no phone calls and no children to be left unattended, so mothers regularly ask the staff if they can use their phones as they need to make calls to get accommodation but can’t leave their children. Email “'Children have to pass adults still drinking from the night before to get their breakfast, it's not on'”. Feedback on “'Children have to pass adults still drinking from the night before to get their breakfast, it's not on'”.